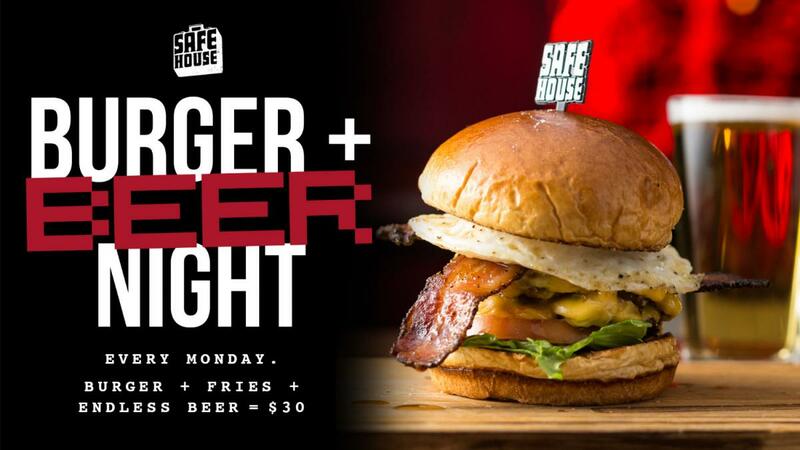 Here's a reason to look forward to Mondays- Burger, Fries & Unlimited Beer* for only $30! Infiltrate the best spy themed restaurant in Chicago from 4 to close to cash in on this deal! *Offer lasts for 2 hours per table.